Crimson-fronted Parakeet, Aratinga funschi, portrait of light green parrot with red head, Costa Rica. Wildlife scene from tropical nature. Bird in the habitat. 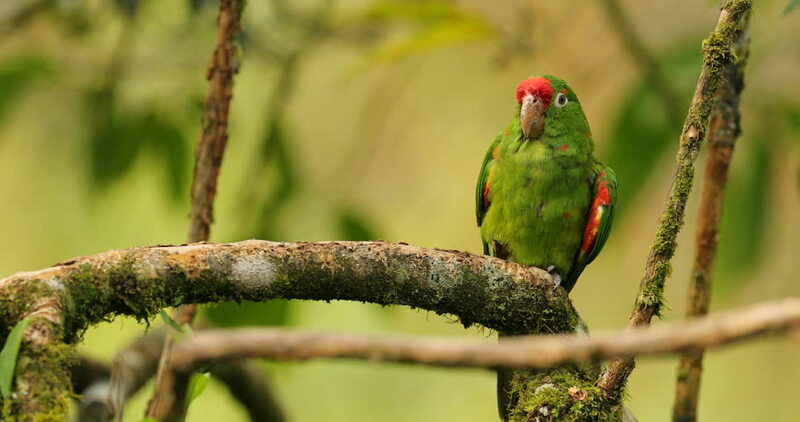 4k00:22Crimson-fronted Parakeet, Aratinga funschi, portrait of light green parrot with red head, Costa Rica. Wildlife scene from tropical nature. Bird in the habitat. 4k00:09Robber Fly (Asilidae) on leaves in tropical rain forest.